Hair trends, from long and low ponytails to hair worn down, have one thing in common this season: natural, lived-in texture. Thank goodness because I’m ready to take a cue from the runways to embrace my hair’s natural texture and give my blow dryer a rest for a bit. Unfortunately, I wasn’t blessed with awesome hair. It’s by no means terrible, but it’s not perfect, either — it’s frizzy, puffs out in the back and doesn’t have much wave to it. I also have cowlicks along my hairline, which is just a lovely cherry on top, especially as a teen growing up in South Florida. Natural, cool-girl hair has always been out of the question for me and good hair days only came courtesy of my trusty hair dryer — until last month. 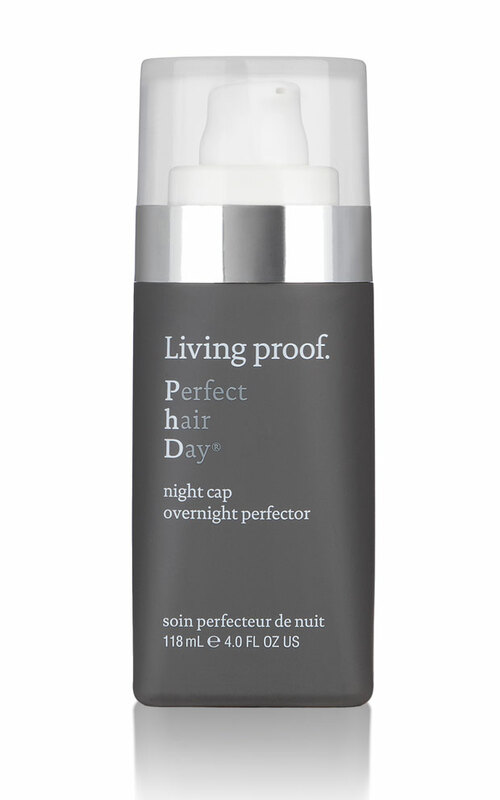 I came across Living Proof’s latest innovation, which happens to have the most clever name: Night Cap Overnight Perfector. I’m already a fan of the brand’s Perfect hair Day collection, and who doesn’t want a perfect hair day? The once-a-week treatment is applied on dry or damp hair, worn overnight (it’s fast-absorbing and pillow-safe) and the benefits last through five shampoos, which for me is pretty much the rest of the week. I woke up to shiny hair that felt bouncy and not weighed down by styling products, and although my hair didn’t get wavier, it looked smoothed out and frizz-free. It was my personal version of cool-girl texture and a way better version of my natural hair without being styled. The formula is made with the brand’s patented Healthy Hair Molecule and is combined with a cuticle-smoothing technology that doesn’t include silicone or oil. There are also time-release conditioners and antioxidants to ensure hair is hydrated and protected as much as possible. A few pumps of this bad boy and a little beauty sleep is all it takes to get a natural, I-woke-up-like-this great hair day.